Let's start getting our finances under control and reduce your financial stress by creating some smart money habits today. To be honest with you all it is the small things we do that helps us save big in the long run. These smart money habits will create and open doors to so many adventures. If you are trying to save money, kill debt, or just financial independence then start implementing these habits and don't wait. Just start today. Below you are going to find 100 smart money habits for the purpose to help you and inspire you to get your finances under control. Many people struggle with finances and I will be honest and tell you that the number one reason people fail with their financial goals is one word. When you commit to kicking your debt, saving money, or whatever financial goals you set for yourself, when you commit you will succeed. Why you may ask? I will answer you with this when you are committed and passionate about something you will make the time for it with no excuses right? You will commit and will only accept results! Now that we have talked about this let's get started with these smart money habits, shall we? 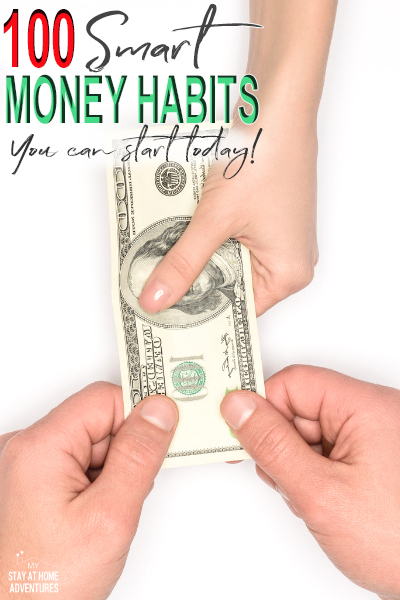 There are 100 money habits on this list but we are going to break some down for you. Of course, you can download the list when you sign up to our newsletter and this will be absolutely free! You can't take control of your finances if you don't create a monthly budget and stick to it. Think of a budget as a blueprint to your finances. You are creating one to allocate your money and tell it where it needs to go. If your dream is to get out of debt or save your first $500 for an emergency fund, then create a plan on how you are going to achieve it. After you create your financial plan start following it. You can go green on a budget and see your savings go. Many benefits of upcycling and reusing not only benefit the environment but also your wallet. It's a known fact that after a major holiday, items go on sale as low as 90%. Take advantage of these clearance sales and buy what you might need for the following year. Before you buy anything, take the time to compare prices. Always do a price comparison for the things you buy. Call your insurance agent and go over your plan and see if you are getting all the discounts that are available. You might be surprised! Before you buy something, figure out how many hours work it will cost you. This will give you a clear view of how to budget it and pay for it. Many generic brands are good or even better than name brands they also save you money as well. Buy generic brands when possible. Shopping online is a great way to save money. Walmart Groceries is a great way to shop for groceries and just pick it up. When you shop online and pick up later you avoid overspending and time spent inside the store which leads to buying items you don't need. Walmart Grocery Pickup is what we love and we get to order fresh groceries, Walmart associates does the shopping and loads the groceries to your car for FREE. How easy is that? Here’s $10 to try it. You can thank me later. Seriously, when you shop this way you will spend less! Take the time to call your credit cards company and see if you can lower your interest rate. If you pay your bill on time you might be able to. Remember the worst thing they can say is no. If going to the movie is your thing, do it smart! Catch a matinee instead of the movie you want to watch and pay less. 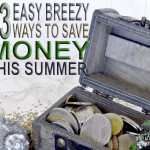 When it comes to smart money habits, always change out your HVAC filter on a regular basis. Before purchasing your weekly groceries, check your grocery store sales ads each week and buy the sales! Be smart about your finances and always check your credit report routinely. Be on the lookout for mistakes! Get your free credit report here. A smart money habit is to always make sure you are getting what you paid for. Many people don't realize that if you are paying for a certain Wi-Fi speed, many times you are not getting it or sometimes you might realize you are not using what you are paying for. Call your provider and ask for a discount too! You never know. Test your internet speed when you click here. If you have rooms that don't require to A/C. keep the vents and the doors in the rooms closed. Coming up with inexpensive things to do with friends doesn't have to cost a fortune. Come up with things you can do with your friends that are inexpensive. Create a babysitting swap with your friends and family. Cut your lawn rather than pay someone to do it. Do the best research you can do before you make a major purchase. Do go spend your money before doing your research, please! Don’t blindly buy the extended warranties without a bit of research. Honestly, sometimes extended warranties are hardly ever a good deal! Convenience foods though um, convenient they add up and prevent you from saving money. Please avoid them as much as possible and you will see your money grow. Making your own meal is proven to be a smart money habit. Here's the thing if you carry a lot of money and this includes credit cards, you will overspend money and this is a fact. Avoid taking more cash with you when you go out and leave the plastic at home too. By doing this you will not give in to buying more than you may need. Do you have your credit card or payment method saved on your browser or any shopping site? Remove them and make your shopping experience a bit more inconvenient to prevent you from wasting money on things you don't need. When the time comes and you can afford it, drive a fuel-efficient car. There is nothing more annoying than when gas prices rise and you are stuck paying high gas prices because your car is not fuel-efficient friendly. Checking your tires and maintaining them will save you money in the long run. Take the time and make sure you check your tires and inflate them properly. No fee banks are the best! Believe it or not, there are still banks that have little to zero bank fees! We use Capital One for many years and there is no minimum balance or fees. The truth is that beauty products cost money and a lot of money. One solution is to find affordable substitutions for expensive makeup and hair products. Don't wait around to fixing a leaky faucet in your home. This will cost your money always have a sense of urgency when it comes to things like this because they will increase your bill. And we know that every little penny counts. Cash is king and will save you money. If you have no control over your money forego credit cards now. 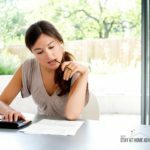 Start using a cash envelope method to help you control your money and save money at the same time! If you can find the space, hang up some clothes to dry rather than using the dryer. If you have a car worth less than $2000, drop both collision and comprehensive. If you have the option, move to a cheaper home or apartment. Think about it this way if you are renting and your money focus is to work to pay for the place you live when there are other alternatives do it. If you receive bills that come in the mail, open them right away. Make paying your bills a priority right away, don't open your mail is kind of a set it and forget it deal. If you’re a smoker, visit your doctor to find ways to quit. I know this is hard to do, believe me, I know, but taking the steps to reduce your smoking and eventually quitting is important. Yes, it will save you money, but most importantly it will save your life. There are always ways to save money on groceries, ALWAYS. 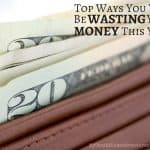 From printing coupons, using money-saving apps and other ways you can always money. In need a coupons saving calculator? 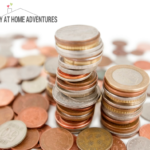 We have covered a lot of great money saving habits and there is more! Below is a list of 100 smart money habits you can start doing today and what's even better you can print the pdf to keep you motivated and on track. Create and follow a financial plan. Upcycle and reuse when possible. After each holiday, go in the next day to buy the things you can use next year. Always do price comparisons for the things you buy. Ask your insurance company whether you are getting all the discounts available. Before you buy something, figure out how many hours work it will cost. Buy generic at every opportunity. Buy groceries online for pickup or delivery. You will likely spend less. Call your credit card companies to talk about a lower interest rate. Catch a matinee instead of a movie later in the day. Change out your HVAC filter once a month or at the most, every 2 months. Check the grocery store sales ads each week. Check your credit report routinely. Check your Wi-Fi speed. If not, call your provider to as for a discount. Close the vents and the doors in rooms that don’t need A/C. Come up with things you can do with your friends that are inexpensive. Do the best research you can do before you make a major purchase. Don’t blindly buy the extended warranties without a bit of research. Don’t buy convenience foods. Make your own when you can. Don’t carry a lot of cash with you to avoid overspending. Don’t go shopping without a list. Don’t have autofill banking information saved online. Ensure your tires are inflated properly. Find a bank that has minimal (or no) fees. Find more affordable substitutions for expensive makeup and hair products. If you have the option, move to a cheaper home or apartment. If you receive bills that come in the mail, open them right away. If you’re a smoker, visit your doctor to find ways to quit. Install long-lasting, energy efficient LED bulbs. It’s always possible to save money on groceries. Keep track of the amount of food you eat each week to prevent food waste. 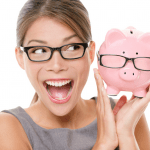 Know exactly how much you want to save. Make a step-by-step plan. Leave the kiddos at home when you grocery shop. Leave your credit cards at home and only use cash. Less temptation! Log every penny you spend in an app or a notebook. Look for a side hustle, like selling on Fiver or driving for Lyft. 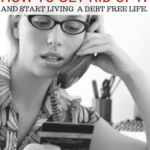 Make a big chart to track your successes at paying off debt. Make food at home when you can. Make gifts rather than buying. Make special coffees a special treat rather than getting them every day. Make your own DIY cleaning products by looking for recipes online. Make your own frozen vegetables by chopping when they are in season. Negotiate with your cable provider for a lower rate. Open your calculator app when shopping to keep track of what you’re spending. Partner with friends and family to have a multi-family garage sale. Pay bills online when you can. Periodically check to be sure you’re not overpaying for auto insurance. Rather than hire a housekeeper, have the whole family pitch in each week. Remind yourself of your money goals by leaving notes around the house. Request a free energy audit from your local utility company. Ride a bike from time to time instead of starting the car. Sell your old clothes to pay for new ones. Set limits for yourself when you spend money on something that’s not necessary. 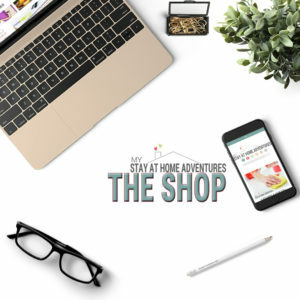 Sign up for the emails on websites where you shop. You'll always see the deals. Sign up with Airbnb and rent out extra space in your house. Spend one day making a week’s worth of meals so you aren’t tempted to eat out. Stay away from the drive-thru. Stay healthy by avoiding sick people, washing your hands, and sleeping enough. Stay up to date with the maintenance on your car. Stop paying for memberships and subscription services that you no longer use. Take your own lunch to work or school. Talk to someone about refinancing your home at a lower rate. The easiest way to start saving money on food is by serving the right portion size. Think about becoming a cord-cutter by giving up cable. To avoid high fees, don’t use an ATM that’s not associated with your bank. Try to repair before you decide to replace. Turn down the heat at night and during the day if no one is home. Unplug everything you can. Even if it’s not turned on, it draws energy. Use automatic paycheck deductions to save money without temptation. Use coupon apps to make sure you’re getting all the discounts you can. Use couponing and rebate apps when you shop in-store or online. Use the GasBuddy app to find the cheapest fuel around near you. Use your crockpot for meals. Wait at least 24 hours before spending more than $50. Wash your dishes by hand at least once a week. Wear layers when you’re in the house so you can turn down the thermostat. Visit your local library and borrow books and DVDs to save money. Find ways to make extra money always. 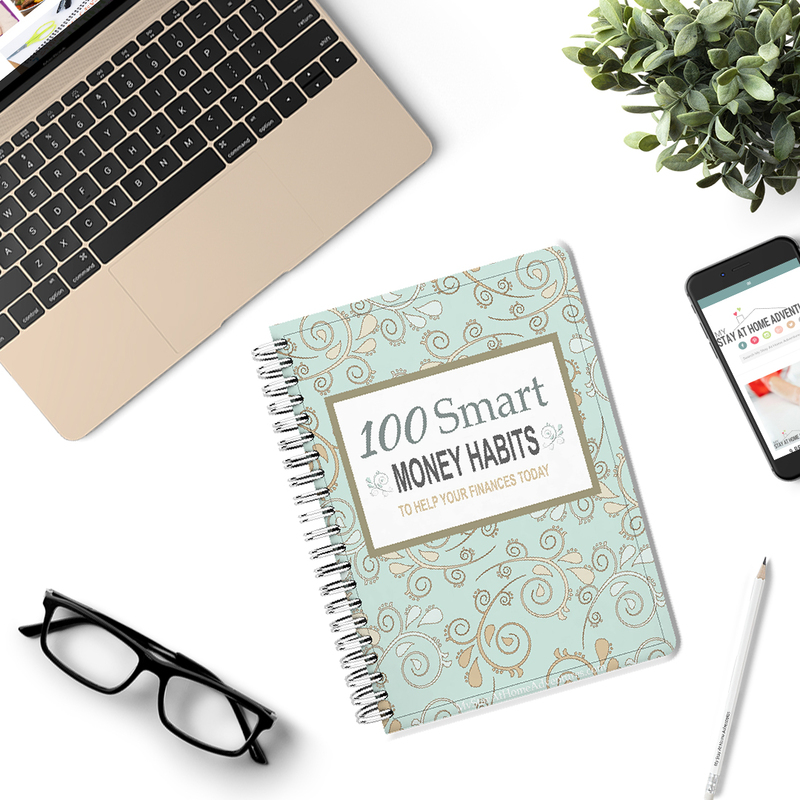 So now that you have 100 smart money habits ideas to help you get started today, we want to recap here. Remember to be realistic and be committed. Nothing is going to happen overnight, don't give up and keep going. Creating new smart money habits is not going to be easy, it will be challenging, but remember that is it possible and once you start implementing these habits you will have control of your money and your life. Your turn: You read 100 Smart Money Habits and now we want to know your tips and thoughts about this article. Share them with us!